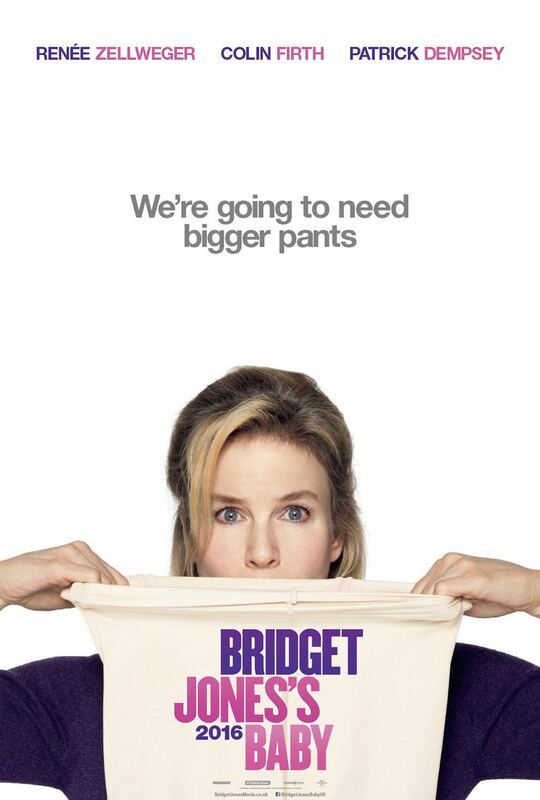 The first two Bridget Jones movies came out in 2000 and 2004 (Bridget Jones: The Edge of Reason). 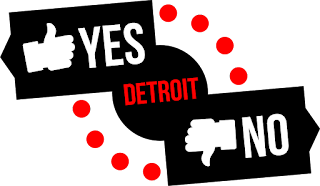 I was in high school at the time, and I remember seeing both and liking both. Twelve years later, we now have Bridget Jones's Baby; Hugh Grant is out of the picture, but now the suitors are Mr. Darcy (Colin Firth) and a new one, an American named Jack Qwant (Patrick Dempsey). Bridget Jones is celebrating her birthday, but "celebrating" is a term used loosely: she's 43, and single, having broken things off with Mr. Darcy. Her friend Miranda (Sarah Solemani) wants to take her on girls weekend, so they head to an outdoor music festival, where Miranda encourages Bridget to let loose. Bridget ends up having a one-night stand with Jack (Dempsey), and then she ducks out early the next morning. A few days later, Bridget runs into Darcy (Firth) at a christening, and learns he's about to be divorced; old habits die hard, and soon they're together as well. 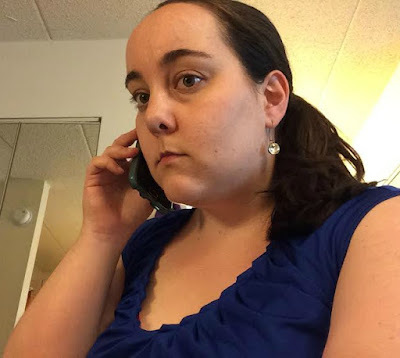 Back in the city, Bridget soon discovers that she's pregnant, and realizes she doesn't know which man (Jack or Darcy) is the father; as always, complications ensue. I love Colin Firth in anything he's in and he was great here, as was Zellweger (still), as Bridget. Patrick Dempsey made a good addition to the cast, as well. Bridget is supposed to be 43 here, so her doctor (Emma Thompson) refers to her child as a "geriatric birth"; which both of them are actually a bit insulted by, actually. We also get an explanation why Hugh Grant isn't in this installment, although later that explanation turns out to be tenuous at best. Yes, see this movie, especially if you liked the first two; as I left the theater, I even heard some people saying that this one was better than the first two (which I now need to rewatch!). I wasn't expecting much from this one since it's the third film in the series, but it was actually quite funny, and I ended up really enjoying it. The main three cast members are getting older (in real life, Zellweger is 47, Dempsey is 50, and Firth is 55) but they were all very believable still in their roles, and the film's R-rating lets it get away with more language, etc. 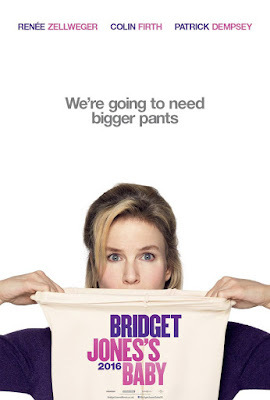 than a PG-13 rating would have (all three of the Bridget movies are rated R, actually). I'd recommend this film for a girls night out, or for anyone who enjoys a good romance or chick flick. Bridget Jones's Baby is in theaters today, September 16th, and is rated R with a runtime of 122 minutes. 4 stars out of 5.